One of the fastest growing cities in Prince George's County, Oxon Hill has recently been named the site of the future National Harbor, a 300-acre development of residences, offices, dining, and entertainment, which is sure to draw visitors from across the state and the country. As the community grows and flourishes, it becomes vital for residents, past and present, to remember Oxon Hill's heritage and to pay tribute to the people who paved the way for prosperity. Through 200 vintage photographs, Images of America: Oxon Hill documents the history of this diverse city named for the majestic 17th-century manor that was once home to the nephews of George Washington and John Hanson. 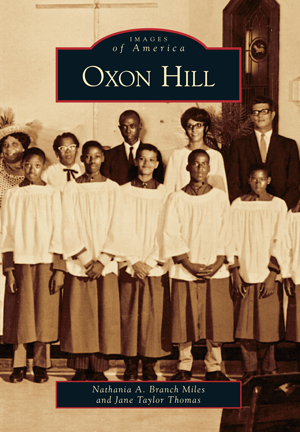 This volume features notable sites, such as the St. Paul United Methodist Church and the Oxon Hill Farm, and stresses the importance of Oxon Hill's proximity to the Potomac River and our nation's capital. These historic images of people and places show readers Oxon Hill's past so that they have a greater appreciation for the city's future. Authors Nathania A. Branch Miles and Jane Taylor Thomas have gathered images from archival sources and individual collections. They hope this volume will be an excellent resource for residents and history buffs alike.